It seems like we’re in for a summer of transfer speculation surrounding Manchester United midfielder Paul Pogba. The 26-year-old was linked with a move away from Old Trafford in the final months of José Mourinho’s tenure, but it would be a greater shame to leave now that he’s finally started performing in a United shirt. 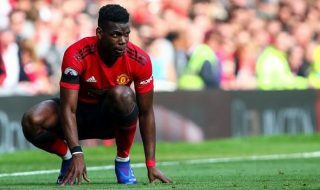 Spanish outlet Marca made a massive claim last week that Pogba has decided to quit United when the season ends and Mino Raiola, his agent, is trying to strike a deal with Real Madrid. The La Liga giants are reportedly set for a rebuild this summer, and with Chelsea’s Eden Hazard believed to be a prime target they could try to sign another top talent currently playing in the Premier League. However, there’s another Madrid-based newspaper named Diario AS reporting that Juventus are keen to bring back Pogba. The report states that Juve are trying to find a way to finance the transfer. Pogba himself refused to rule out the possibility of joining Real Madrid but stressed that he is happy in Manchester. Pogba’s current contract expires in 2021, but it seems like United might have a task on their hands to keep the Frenchman till then. This season he has scored 14 goals and provided 11 assists in 39 matches.